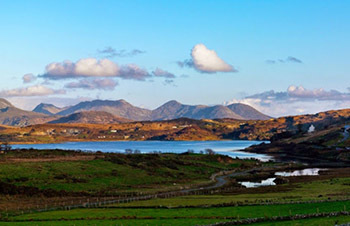 If you’re thinking of traveling to the West of Ireland, and in particular Connemara, well then you’ve come to the right place. Clifden is the perfect base to explore Connemara’s rich landscape and heritage. Use our website to avail of special offers in Accommodation, Food, Shopping & Things To Do. As we wake up this Sunday morning, the hills may not be alive with the sound of music, but in Connemara, the kitchens are alive with the sound of industry – and the aroma of chocolate. 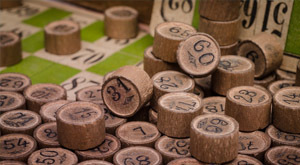 Community Bingo Nights - This event will take place at the Clifden Town Hall as from eight thirty at night till late into the night. It takes place each Thursday, and hundreds of people show up to try their luck. Hello there! Welcome to Clifden, a website geared towards providing tourists with valuable information about Ireland. Through collaboration with industries in the tourism sector and the help of experts in our teams, we have lots of information ranging from attractions, services all the way to events in Ireland. With us by your side the entire time you are in Ireland, you are set to have a good time. At Clifden, we want to ensure that your stay in Ireland is as fruitful as possible. As such, we guide you from the onset of your trip by providing you with information on the best times to visit Ireland, attractions to visit and events in store. From the start of your journey, a knowledgeable tourism expert will assess your needs for the upcoming trip and provide you with an array of options from which to choose. In this way, as you enter the country, you will already know where you are heading, the best place to stay, what to do and why. The travel plans we offer you are also flexible such that if you want to do something for which you had not planned, you can always do so. If you encounter any problems during your stay in the country, our team experts will be quick to find a solution to the challenges so that you can get back to having fun. We also educate you on what you require before embarking on the trip concerning travel documents, an estimated budget for your activities and all other matters necessary for a successful trip. Here is an overview of the services that we have in store for you. There are many attractions in Ireland, and a team expert will take you through the various options. In this way, you can choose what activities best suit you and you can make plans accordingly. Attractions range from indoor activities all the way to outdoor activities where you can learn more about the country’s history as you have fun. Examples of places you can tour while in the state include but are not limited to Dublin, Wild Atlantic Way, Ireland’s Ancient East and Ireland’s Hidden Heartlands. We understand that there is an abundance of enjoyment to be had while on vacation and luckily for you, Ireland is brimming with outdoor activities in which both adults and children can take part. Events such as cycling, walking, horse riding and sailing are favorites among tourists who love outdoor activities. If you prefer activities which are less fast-paced, you can opt to tour art galleries as well as other historic features in the country. With the help of a tourism expert from our team, you can go through all the possibilities available to you and make an informed choice. Some tourists prefer taking strolls and engaging in shopping activities, and if this is what pleases you, then our team member will be sure to provide you with a list of places you can visit while in the country. Whatever your heart aches for, we will find something for you to do. There is never a slow time on our tours. The place where you rest at the end of a long fun-filled day matters a lot, and it is always good to conduct extensive research on accommodation options before your arrival. We have a wide range of places where you can stay, depending on your preferences. While some people may opt for self-catering options, others may lean towards camping or guesthouses. There are many bed and breakfast options, as well as hotels, such that you will not lack a suitable alternative. With a team member working on your trip, you will have an opportunity to view the various options and go through the amenities in these places before coming to a decision. We also provide you with reviews of the accommodation options, based on what our previous clients have expressed about their stay in these facilities. There are many events which you can take part in while on vacation. The activities range from art and culture events to exhibitions to the theatre all the way to sports. We will provide you with a comprehensive record of performances you can attend while on vacation, based on your preferences. Cultural celebrations are in plenty, and you can sample the drinks and foods of the country as you learn more about the country’s history. We offer you various options on how to get around while in the country. Options range from car hire to bus services all the way to trains. If you are visiting a specific region, you can get by on a bike with ease where you will get to explore the country on a deeper level. At Clifden, our foundation is in understanding our clients’ needs such that we can offer you options which are in line with your requirements. From the moment you contact us, we will assign you a team member with extensive knowledge on what you can do in Ireland to get the most out of your trip. We also pay a great deal of attention to your safety, and we will provide you with tips on how best to ensure your security while on vacation. Our travel options work for all ages, and we strive to ensure that your time in Ireland will be memorable. Contact us today for more services and let’s work together to make your trip to Ireland unforgettable. We look forward to hearing from you soon. Taisteal Sábháilte! Clifden Lotto presented a cheque to the Clifden Lifeboat 10K Challenge for E500.00 towards the cost of their annual 10K Event on the Sky Road, 11th September, 2pm. Laurence Ingelbach, organiser, Sinead O’Sullivan & Geraldine Conneely, accepted the cheque on behalf of the RNLI. Where are Connemara and Clifden located? Nestled amidst breathtaking mountain scenery and beautiful rugged coastline is one of Ireland’s most loved towns, Clifden. Located in the West of Ireland in a famous region known as Connemara, Clifden is the largest town in Connemara, which of course is an outstanding jewel in Ireland’s scenic crown. Copyright © 2019 Clifden All Rights Reserved.